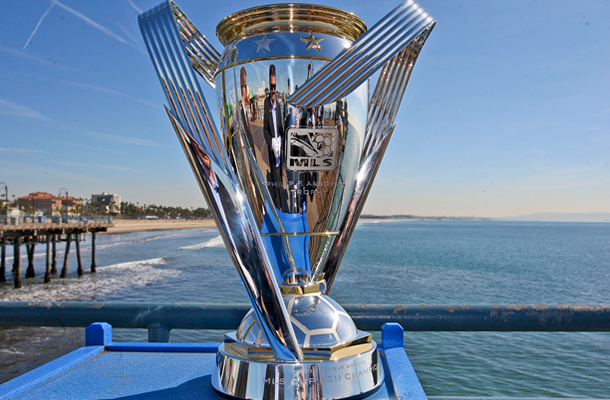 As I’m sure you big MLS fans know, the playoffs start tonight! The way the MLS playoffs are structured, we start with the fourth and fifth seeds from each conference, who will play each other in a knockout game. For the next two rounds, there will be a home-and-home between the participants, which all lead to a single game final in December (brrrr). However, let’s not get ahead of ourselves. Here’s a quick what’s what from the two knockout round matchups. This is Vancouver’s second MLS Cup playoffs appearance–the first coming in 2012 when they lost 1-0 to the LA Galaxy–and they’re hoping for a better performance. They’ve been playing well, as they haven’t lost in five games, and haven’t allowed a goal in 393 minutes (a little over 4 games), and have only allowed 40 goals all year. They don’t score enough goals, which is an issue, but a 1-0 win is still a 1-0 win, right?. Also, they have twice as many Uruguayans on their team, which should almost be a straight ticket to the MLS Cup. FC Dallas, meanwhile, was pretty comfortable in that fourth spot. A win against Portland would have gotten them the third spot, and they wouldn’t be in this knockout round, but they were never in danger of missing the playoffs over the last couple of weeks of the season. On paper, they’re the better team. They finally have Fabian Castillo back and healthy, which should help grease the wheels for the strike team of Blas Pérez and Texeira (pictured). Dallas can be spotty on defense, but the offense has potential to put up a lot of goals on anyone in this league. The fact that the game is in Dallas should also help. Despite Vancouver’s clear Uruguayan advantage, I still say Dallas takes this one 2-0, with Texeira netting one of those goals. Uruguayan Advantage: Push – Neither team has a Uruguayan, for some reason. If you’re thinking that it seems like these two teams just played each other in a game that would impact their post-season, you’re right. This past weekend, the Red Bulls traveled to Kansas City and beat Sporting 2-0, which sealed home field advantage for NYRB in this knockout round game. If Sporting KC had won, the teams would have flipped in the standings, and this game would be in Kansas City. I’m not sure it really would have mattered anyway, especially now that Game 7 of the World Series will be the night before this game. The KC fans might be a bit exhausted come Thursday anyway. Anyway, let’s talk about the hosts. The Red Bulls are a bit of an enigmatic side. With the great Thierry Henry (pictured), Lloyd Sam and now MLS goals record sharer Bradley Wright-Phillips on offense, they have the potential to blow everyone out and make a deep playoff run. That being said, they were fairly inconsistent this year, and didn’t really show that they are anywhere near the team to beat in this conference. They’re just too inconsistent. Wright-Phillips has the ability to score a hat trick in every game, but often seems to disappear for a few games too. The Red Bulls defense, however, is somewhat questionable. That being said, they’ve been playing quite well lately. There’s a different story in KC. To say that Kansas City limped into the playoffs is a huge understatement. The defending MLS Cup champions tumbled in the standings over the last month or so. A lot of this was due to big time injuries, but the team that was left on the field didn’t play particularly well either. Matt Besler and Graham Zusi were basically nonexistent after they came back from the World Cup, so it’s not looking good for KC. It’s hard for me to imagine that they’d suddenly pick it up while on the road in New Jersey. I think the Red Bulls take this one at home and, despite a severe lack of Uruguayans, will win this one 2-1.